Following a very successful pilot last year, we are delighted to announce that Hampshire County Council have commissioned OCFA for a second year to provide a number of practical cookery courses for their clients across Hampshire. Hospitals, schools, care homes, and nurseries etc are all charged with the responsibility of preparing safe, healthy, appetizing and enticing food on a daily basis for their regular diners and often over a long time period. OCFA are very pleased to be helping to train these cooks and inspiring some fresh ideas. We have been working continuously with Hampshire County Council since 2004, providing a variety of courses on: Health and Safety and Manual Handing, and many areas of Food from Hygiene to Special Diets, Menu Planning, Malnutrition Screening and Cookery Skills. We'd like to thank Hampshire County Council for their continued support and almost 6,000 delegates that we have trained so far over the last eleven years! "The feedback from the training was extremely positive with comments being very complimentary about the trainer - so much so that people said it was one of the best courses they had attended. We shall definitely be using you again for our First Aid requirements. TRAINER TO DELEGATE RATIO - IT'S IMPORTANT! It has come to our attention that many training companies are not following the HSE recommendations in providing at least one trainer for every 12 delegates. 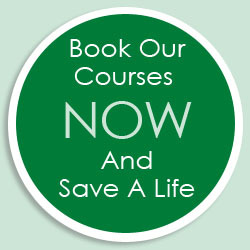 In fact, we were recently informed of a first aid training course with one trainer trying to look after 30 delegates! At first glance, this may seem a trivial point but the full significance of this decision may not be appreciated until something goes wrong. An incident that triggers an investigation by the HSE may lead to expensive questions as to why their specific recommendations were not followed. Secondly, insurance companies will be looking to find a reason to invalidate your insurance and you may find that failure to follow HSE guidelines is a material breach of the terms of your insurance. Thirdly, if you are a parent entrusting the safety of your child to an organisation and discover that they use a training company who fall short in the areas of health and safety, you are unlikely to use them again. Finally, it's not only the training company's responsibility here. Since 1st October 2013, the HSE have declared that the directors of the business must show that they took due diligence when choosing a reputable training company. In conclusion, always select a training provider who follow the HSE guidelines properly. If we can help you, please email us at info@ocfa.co.uk or call us on 01235 810619. Check the casualty's mouth. If you are unable to remove the obstruction, lean the casualty forwards, and give five sharp blows between the shoulder blades with the heel of your hand. If the back blows fail to clear the obstruction, try abdominal thrusts. Stand behind the casualty and put both arms around the upper part of the abdomen. Ensure casualty is bending forwards, clench your fist and place it between the naval and the bottom of the breastbone. Grasp your fist firmly with the other hand. Pull sharply inwards and upwards up to 5 times. If the obstruction still has not cleared call 999/112 for emergency help and continue until help arrives. N.B. If you have used abdominal thrusts then, even if this cleared the obstruction, the casualty must still be checked over by a doctor or at the hospital. Congratulations to Linda MaCaskill of A Plan Insurance in Witney, who correctly answered that Graham Linehan re-wrote "The Ladykillers" for the stage. Linda wins a £50 voucher for an amazing fine dining experience for two at the award-winning Oxford Kitchen restaurant in Summertown, North Oxford. This month, we are offering a £50 voucher for a meal for two at The Feathered Nest Inn - a country pub, restaurant and inn set in the picturesque village of Nether Westcote in the heart of the Cotswolds. "Name the main sponsor of this year's London Marathon?" Email your answer and contact details to Jane at: info@ocfa.co.uk and we'll draw one lucky winner from the correct answers on Friday 20th April 2015.